In 2005 Tectum Dekkers Polska (now known as Tectum Group Poland) was established offering roofing services to architects, real estate investors and developers. Being part of the Belgian Tectum Group, the international backbone enables us to take on even the largest commercial or industrial roofing projects. In the past years, we have built an impressive portfolio of projects. The Warsaw Spire and Hub, the West Station and Blue City are just some of them. We worked on roofing projects for offices, shopping malls, government buildings, residential and industrial buildings and many more. 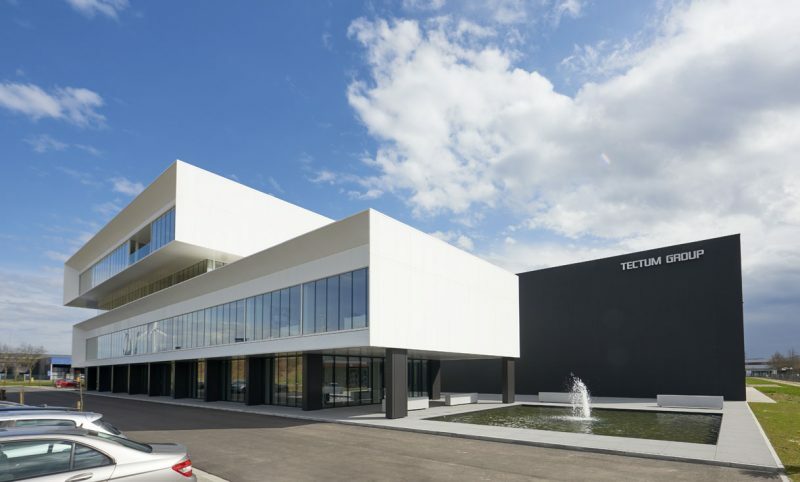 Tectum Group Poland is a member of the Belgian Tectum Group. With over 70 years of experience Tectum Group has grown to become one of Europe’s largest roofing contractors. We are highly aware that our people are our most valuable asset. We are committed to developing their skills and we continually invest in the development of our colleagues on the roofs as well as of our team members in the office. This way we want to add value to our service, communication and processes.